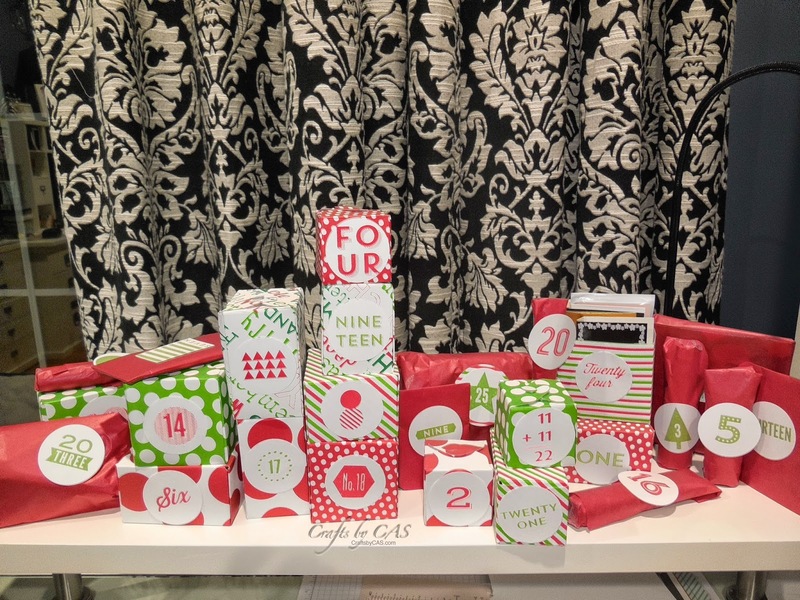 Crafts by CAS: Beauty "Advent Calendars"
My collection of small beauty samples treasures is out of control, and I found the perfect way to share these items with my sister and my bestie. While stuck in the vortex called Youtube, I stumbled upon multiple videos made by beauty gurus showing fabulous advent calendars manufactured by cosmetic companies filled with their products. The store bought beauty advent calendars are popular in the UK, but harder to come across in the US. When I thought of the idea to give my beauty samples away, my mind went first to the packaging. I thought about assembling a proper advent calendar kit --- *blush* I actually have two in my stash waiting for me to put together and decorate. However, the samples I wanted to include in the calendars are just too large for those kits. So I went another route. 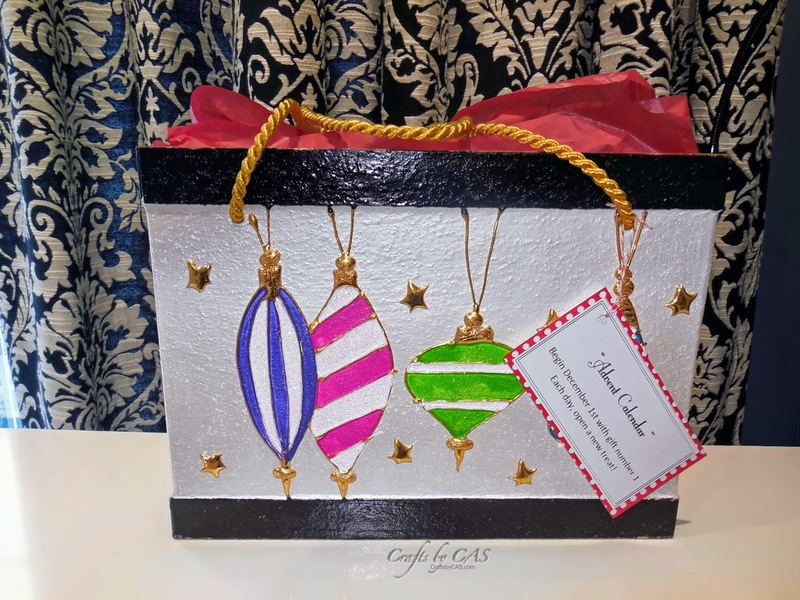 I wrapped some of the larger products in tissue paper, and others I tucked into boxes and bags created using the We R Memory Keepers Punch Boards. Some of the samples I received free with cosmetic purchases (from places like Sephora), others came in a purchased subscription box (like Epsy and Fortune Cookie Soap), and the remaining items were bought individually (like the Zoya nail products). When it came to numbering all of the boxes I created a quick Power Point file with standard circle designs in a size to fit my 1 1/2 inch punch...THEN I saw this stamp set from Stampin Up! and took another direction. I'm thankful Stampin Up is so quick to ship! I tucked all of the wrapped goodies in descending order into an open top gift box I found at a local Home Goods. 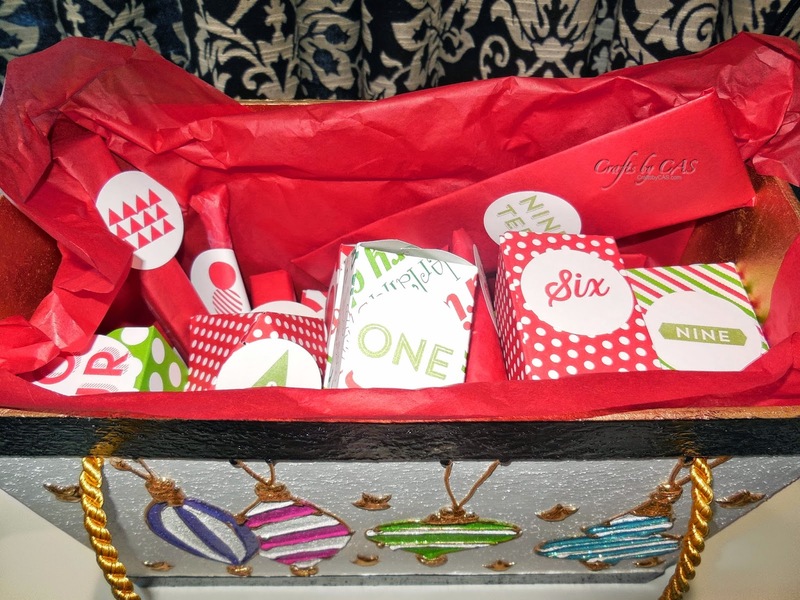 I made a little gift tag with the instructions "Begin December 1st with gift number 1. Each day, open a new treat". Not sure I could be so patient and wait to open 25 gifts!